Boilers tourist area of the Danube stretches over a length of 50 km on the river, along the north shore of the Danube, between the Svinita, upstream and downstream Orsova, walking across Dubova, situated in "large boilers" and Eselnita that Danube stretches from the exit of the "small boilers", from the confluence with the Danube valley Mraconiei. 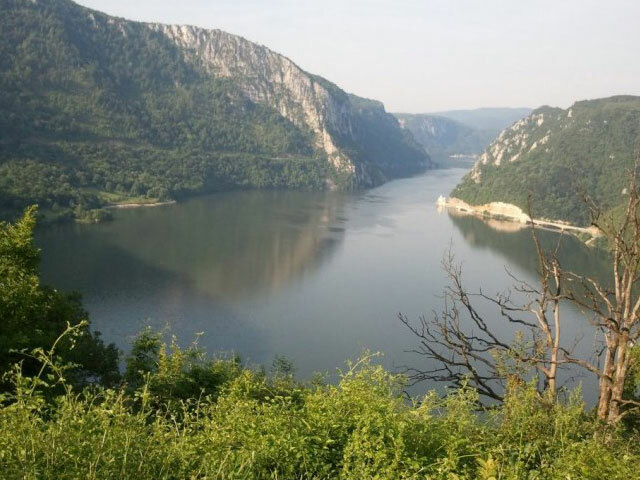 Nature Reservation "Large and Small Boilers"
Boilers - is a composite, with a total area of 215 ha and is located in Valley Ogradena and Danube basins Turcului. In this area traverses the narrowest and grandest of the Danube Gorge, "Cazane = Boilers". By "Cazane" is understood the defile between the mouths of rivers and Ogradena & Plavisevita, being composed of two distinct parts: Large and Small Boilers separated each other by a semicircular bay, Dubova basin. Between Plavisevita and Dubova basin extend over a length of 3.8 km large boilers, made of limestone massif Ciucaru Mare (318 m), whose steep walls border the left side of the river and Stirbatul Mare (Veliki Strbac - 768 m) on Serbian bank. Between Dubova basin and Ogradena are small boilers with a length of 3.6 km. DEPARTURE TIME Please arrive by 12:00 for a prompt departure at 14:00. OUTFIT Bring comfortable cycling clothing, we take care of the rest. We'll visit on the way to the accommodation area, the city Drobeta Turnu Severin - Foot Bridge Trajan built by Apollodorus of Damascus. We'll climb the water tower of the city where we have a panoramic view of the area. Then we'll go to the town of Orsova, passing by the Iron Gates of the Danube admiring it and its viaducts. In the evening we reach Dubova, place of accommodation. We’ll offer you a day of riding to Libcova. 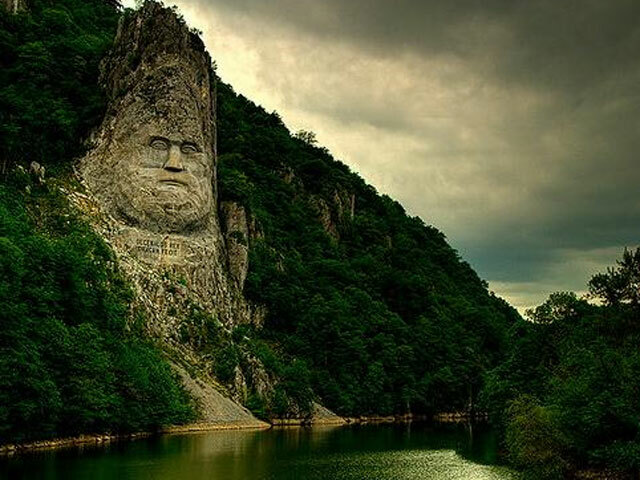 We’ll admire the Danube Boilers, Mraconia, Decebalus face in rock fortress and village Trikule Svinita. 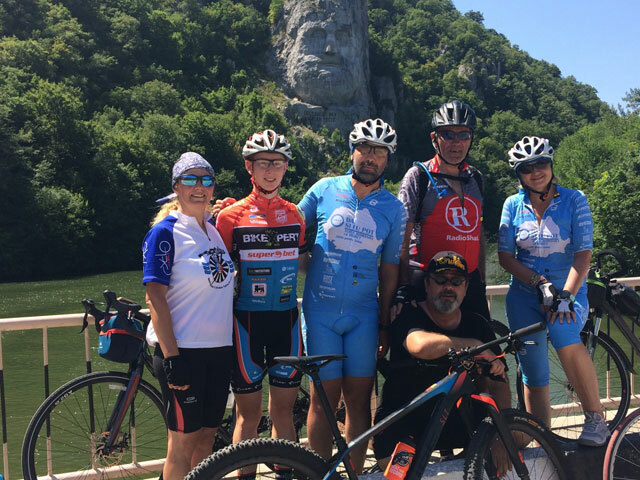 Embark on a journey on bicycles Almajului Mountains, the village of Eibenthal a Czech linguistic island, one of the six villages that are in Romania. Visiting the “Bigar” waterfall, the otherworldly beauty of the site even earned it a place as the number one interesting waterfall in Romania. Optionally we offer a trip on the Danube boat with sightseeing area of water, including if the weather allows us to admire the Ponicova Cave. Ponicova cave is carved in the left side of the Danube in large boilers, Ciucaru Mare, partially flooded after the creation of the dam lake. Galleries totaling 1,660 m crossing its Ciucaru Mare and out into the Danube. In Orsova we will visit the Monastery of Santa Ana, located on Santa Hill, ridge that watches over the city Orsova.